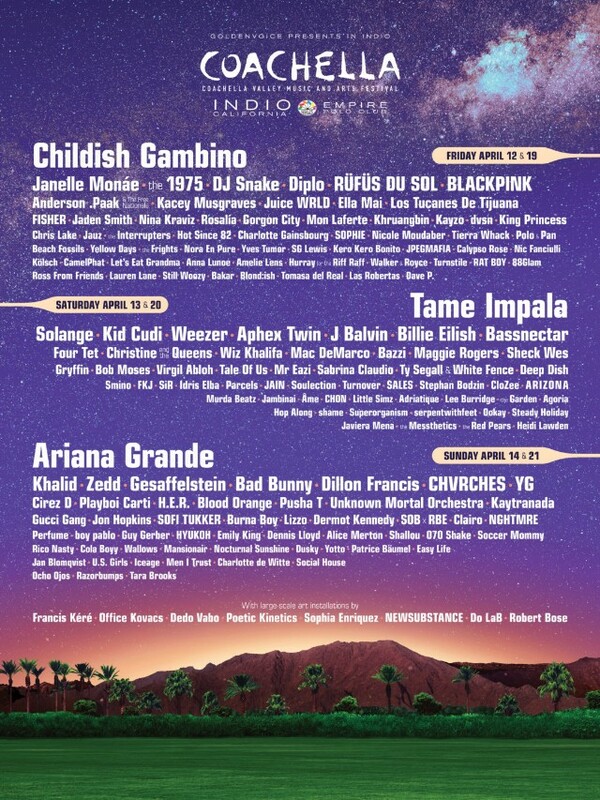 When a lineup is as stacked this year’s Coachella, it can sometimes be more anxiety-inducing and stressful than it is maneuvering a lineup with just a handful of standout acts. This has become true of navigating music in general, as there are more daily releases than ever before. Going through the popular playlists such as ‘New Music Friday‘ (which claims to handpick only the “best” new releases) can be underwhelming, as the selection lacks authenticity and is fueled by connections rather than taste. The Kollection has teamed up with our friends over at Playlist to curate a Coachella schedule just for you, highlighting the 5 must-see acts of each day. Not-so-coincidentally, Playlist seeks to tackle the issue that Spotify playlisting has created by putting curation back in the hands of your friends, family, and favorite tastemakers. We’re extremely excited about our blossoming partnership with the company and can’t help but share what we know and love about it already. What Playlist is doing has been deemed both revolutionary and exciting by countless industry professionals: a dark horse has appeared in the streaming race and we are ALL for it. 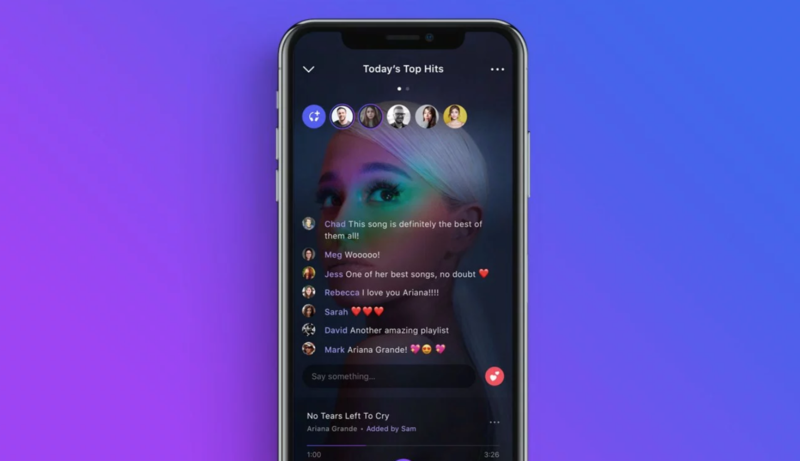 Let us also add that there is no subscription necessary, the app boasts 10 times the engagement rate of post-launch-Pandora, and the user interface (which focuses on listening to music with friends) is easier on the eye than both Spotify and Apple Music. Stream a playlist featuring the top tracks from each of the artists listed below HERE. Who Is She: A Russian DJ and pioneer of the modern Techno movement. Why You Need To Go: Nina mixes both Vinyl and digital tracks, often chopping up 4 different records at once to create unheard classics out of existing tracks. If you’re not a fan of techno, seeing Nina live may open your eyes as to why others are, converting you with her inimitable ability to control a crowd. Who Are They: An Indie-Pop group from London who would seemingly fit in well with the Harajuku scene. Why You Need To Go: The group has been on the steady rise for well over 5 years, and as they’ve continued to grow their fanbase has remained extremely loyal. The true fans will flock to this set, so the performance will be met with a choir of excited fans chanting along to the quirky lyrics. Who Is He: A surfer turned DJ turned Tech-House icon with a hilarious Instagram presence. 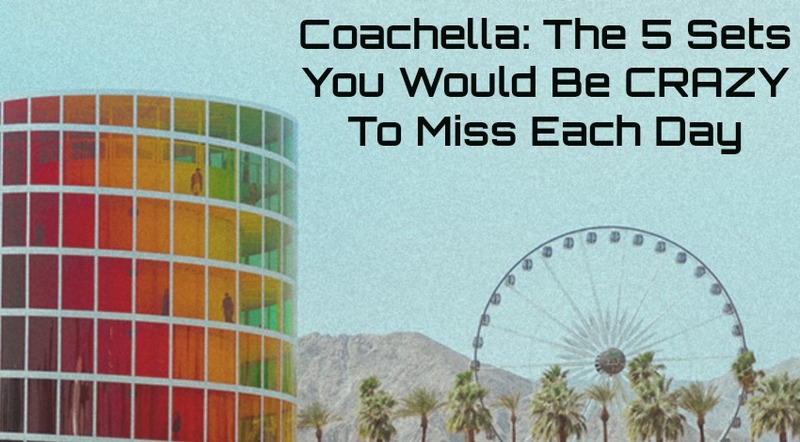 Why You Need To Go: This may be the most jammed set at Coachella as everyone and their mother is buzzing off Fisher’s bass-driven drops. While the crowd may be speckled with jerseys and younger attendees in Hawaiians, you can be sure the man from Oz and next-level visual production will have you LOSING IT. Who Is She: Flume’s label mate and an experimental force in the electronic scene. Why You Need To Go: SOPHIE’s set at the Yuma Tent in 2016 was one of the best we’ve ever seen. If you’re coming to Coachella to dance, this is a set to prioritize. Who Is She: A rapping powerhouse whose music and stage presence is extremely surreal. Why You Need To Go: Her debut album, Whack World, is incredible and so are all of her recent releases. This is the first time she will be a name on a notable festival circuit and thus a unique opportunity to get behind the movement before she reaches mainstream acclaim. Who Are They: A rising Swiss electronic duo who produce a spectrum of beautiful and driving techno that inspires both tears and fist-pumping on the dance floor. Why You Need To Go: They played on New Years-Eve-Eve in Los Angeles and the event blew the following night out of the water. Certain electronic acts exude a sense of “cool” and they epitomize this notion. Who Is He: The man on the moon, Mr. Rager, Scott Mescudi- a legend who shaped the youth of thousands. Why You Need To Go: This is Kid Cudi’s big return. After a series of releases which were a let down to his core audience, Cudi partnered with Kanye on the Kids See Ghosts project. While Kanye is only scheduled to play on the Sunday of weekend two, don’t be surprised if he comes out to support his partner on this one. Who Is He: A classically trained musician who creates sounds that most artists would deem impossible to recreate. Why You Need To Go: While Bodzin has been on a run of US shows, this is his last stop on his American tour. It is likely that he will not return for months or even years so if you want to witness the spiritual experience that is a Bodzin set, now is your chance. Who Are They: A 7 piece pop-band lead by the 18 year old vocalist Orono Noguchi. Why You Need To Go: There is a fine line between a performance and a show. Superorganism will be a spectacle as each of the 7 members feed off one another’s energy and run around the stage in unison. Who Are They: The iconic indie rock band, conceived by Kevin Parker, who many consider to be one of the greatest musical minds of our generation. Why You Need To Go: We were teased by the release of Patience this past month and there is a whole accompanying album on the way. Tame Impala is completely structured around Parker’s vision – he writes and records for each instrument, crafts the psychedelic vocals which he sings so smoothly, and mixes/masters the tracks(…save some for the rest of us would you). Few bands like this exist in the contemporary landscape; when they play in a festival setting it is reminiscent of the 1960’s golden era, as time seems to freeze over and attendees are hypnotized by the sheer beauty unfolding before them. Who Is He: Cirez D is the techno moniker of Eric Prydz which he has toured America under as of late. This is one of the few artists whose visuals attract as many fans as the sounds which fuel them. Why You Need To Go: Unless you are made uncomfortable by flashing lights, Cirez D is a testament to what is made possible when you pair intense music with tens of thousands of dollars worth of lights and lasers. There is no doubt the viewing experience is overwhelming to some, but even a 5 minute dose of this set will leave you impressed by the intensity of stimulation he curates. Who Is He: One of Amsterdam’s finest talents who has emerged from the underground scene and retained his authenticity. Why You Need To Go: Patrice Bäumel is going to be a set that likely will have numerous overlapping acts that your friends will push you to attend. Out of all the electronic acts, this set has the potential to be the most intimate performance especially considering the performers fondness of interacting with his fans before, during, and after performances. Who Is She: An American singer-songwriter and musician from Nashville, Tennessee. Why You Need To Go: With all of the hip-hop and electronic music to choose from, taking some time out of your weekend to see an artist who largely only relies on her stripped-down guitar and vocals can be refreshing. While Soccer Mommy’s sound would have fit in with festival lineups in the 90’s, her performance will be a standout this year in its simplicity. Who Is He: The electronic act of the weekend – every weekend, at that. Why You Need To Go: Having seen Yotto’s standout performance at Lightning in a Bottle and CRSSD, we guarantee that his Coachella set will not disappoint. His music can be compared to someone you meet who is inexplicably likable- whatever secret ingredient is in the mix goes a long way. Who Is She: She is the biggest artist in the world. Why You Need To Go: When an artist is as big as Ariana, she is easy to write off. It is easier to disregard her music and the movement she has created than it is to admit that there is something amazing about an artist whose transition from the Disney channel to pop-goddess was seamless. 10 years from now – hell- 50 years from now – Ariana will be talked about as one of the greats. Swallow your pride and see for yourself why this is the case.